Jo Nakashima made a video tutorial for this adorable Totoro by Robin Glynn. My brother and his girlfriend like Totoro a lot, so I made one for them… and then her sister asked for it when she visited, so I had to make them another one – let’s say, if you have Miyazaki enthousiasts around you, you can fold this model a few times :) It’s not excessively complicated, but looks really good. 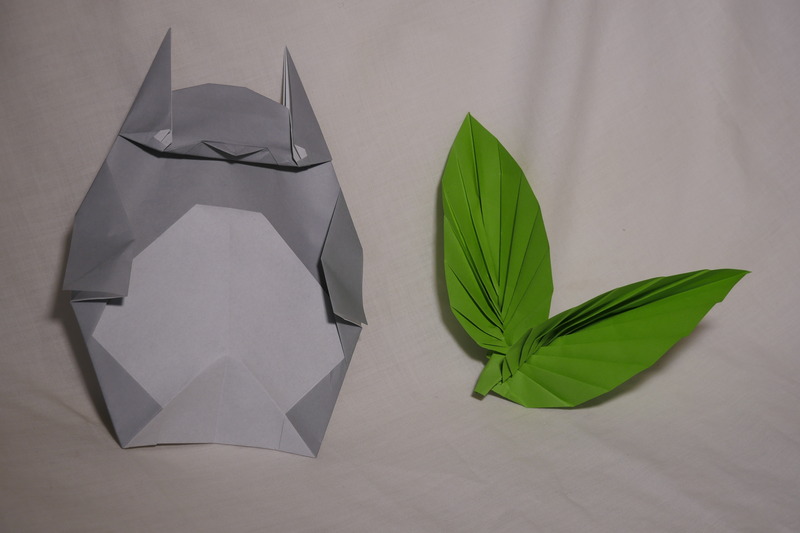 Totoro is folded from one sheet of 25cm grey kami ; The leaf, as said before, is one square sheet of 20cm paper. Jeremy Shafer made a video tutorial. 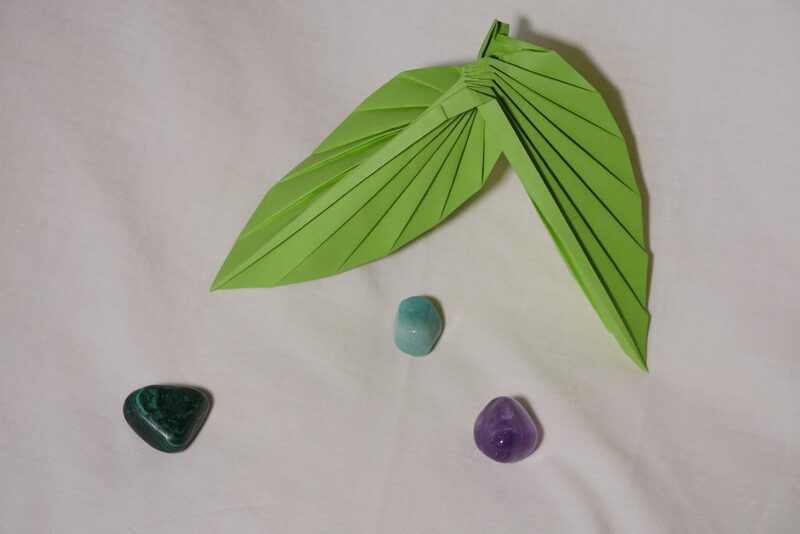 Here you see the back of the leaf. This entry was posted in General and tagged Jeremy Shafer, Jo Nakashima, leaf, photo, Robin Glynn, Totoro, video tutorials by Turquoise. Bookmark the permalink.